I love drawing and coloring in my Bible! ​I remember as a little girl going to church and taking my pretty little new testament with me. I was too small to really understand the preacher or follow along in the Bible but I saw my parents sitting there with their Bibles open, so I would open mine and hold it on my little lap just like they did. ​For like 10 seconds. ha! ​I would begin to fidget and mom would hand me a pen and a piece of paper. Yes! Now I could doodle. But the first time my doodling traveled from that piece of paper over to my pretty little new testament, oh my. I was in trouble. My mom said it was disrespectful, and that stayed with me. ​Flash forward years to a young girl with a creative soul and love for the Word of God, and a Bible filled with doodles, scribbles, highlights, notes, etc. It was how I worshipped, it was how I personally connected with the words on the pages, it was here my soul and God's Word intersected. ​Little did I know there were other girls all around the world worshiping in the very same way! Now all these years latter there are generations! And coloring in your Bible has become a "thing". Let Your Soul Be Insired! ​In our new devotional, Let Your Light Shine, I really wanted to provide space in the book for this creative worship. Because just like I write and color in my Bible, I write and color and make a lot of notes in the books I am reading. ​So if you were like me when you were small, and told to never disrespect a book by writing in it, I'm here to say, It's ok! Write in it! Make notes in it! Underline, draw, color, dog ear that page so you can find it again! 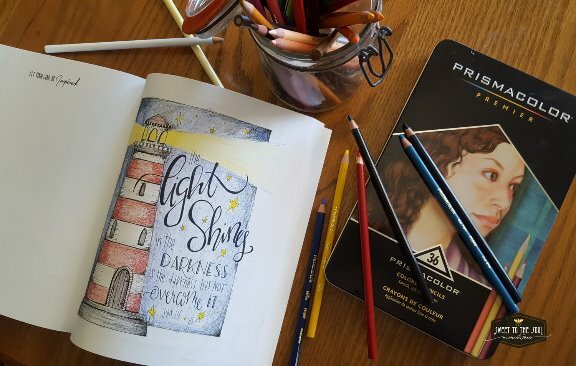 ​Throughout our devotional Let Your Light Shine and the companion Scripture Journal, you will find many pages with beautiful black and white sketched scripture art or inspirational quotes all waiting to be colored and brought to life by a creative soul. ​Above, I've colored in one of those pages using one of my favorite tools, PrismaColor Premier Colored Pencils. I fell in love with PrismaColor colored pencils when I was in high school art classes, and they have not left my art supply cabinet since! I use them in my Bible because they are pencil so do not bleed like markers. I also use them in books, in sketches, on all types of media because I prefer the control I can have with a pencil versus a paint brush. ​The page opposite the scripture art is blank and just waiting for some Soul Inspired worship! It is great for notes, doodles, journaling prayer. You may be tempted to avoid the blank page, but they are some of my favorites. Don't worry about creating something which looks perfect or looks like something that someone else creates. Let YOUR soul be inspired. Use these blank pages as an offering to God. ​In addition to my personal Bible and my ESV Study Bible, I also have a Journaling Bible. I love it because it has that wonderful margin space which leaves me room to write notes or be creative. 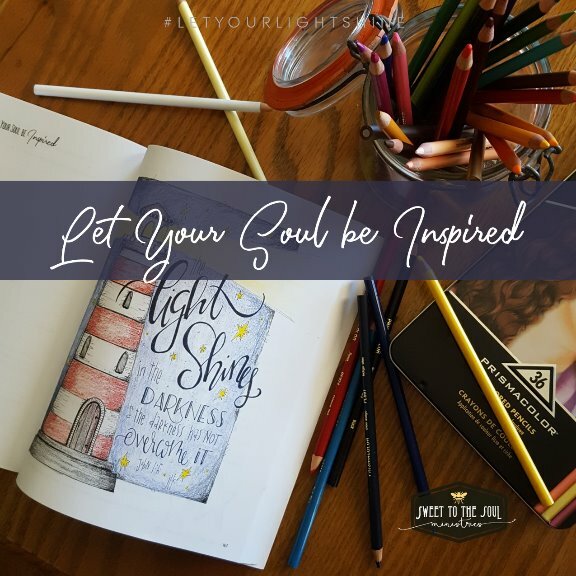 ​If you like using a Journaling Bible also, I've created some templates with scriptures and quotes which share the message of our Let Your Light Shine Devotional. ​These also make great bookmarks to print and color. They are wonderful for Women's Ministry events and activities. They are also a creative way to engage our children with the Word of God. From my Bible to yours! 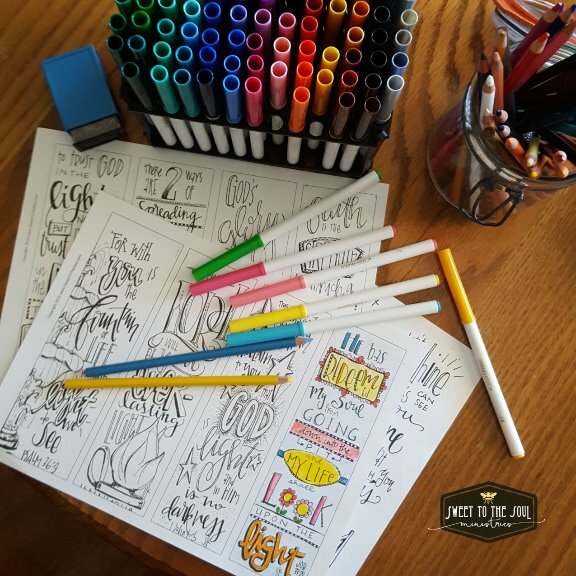 There are 12 different Bible Journaling templates / bookmarks to spark your creative soul. And so many ways to use these downloads! ​ - Print the download file. ​ - Use as a pattern to trace or hand sketch directly into your journaling Bible. - Color and accent as desired! - Clip each bookmark along the outside lines. - For added durability, laminate each book mark. - Punch a hole toward the top of the bookmark. - Add ribbon accents to compliment the colors in your bookmark. ​Either ​of these projects are great activities for Bible Study groups and Women's Ministry Events. Or print to use at home for a fun afternoon of creativity with your kids. As you work on each design, discuss with them the scripture and share some ways that they can shine their light into the world. ​I would love to see how you use the resources shared today! Follow us on social media and upload your photos! Tag us and use the hashtag #LetYourLightShine and #SoulInspired. ​My hope, Soul Friend, is that your heart will long for God's Word and your soul will be inspired! 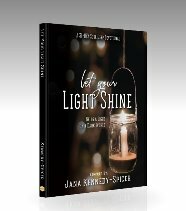 Click here to access our full line of #LetYourLightShine resources. All proceeds from the sale of Soul Deep Devotionals and Scripture Journals go towards providing Bible Study Resources to women incarcerated or living in shelters. So Excited to share these with my Bible Study!! Yay! Would love to see how your study group uses them! Be sure and share.